ZipQuest Waterfall and Treetop Adventure has partnered with 219 Group for all their marketing needs, including advertising, public relations, social media, digital marketing, promotions, and web design. 219 Group is excited to help ZipQuest achieve even more success through growing awareness of their thrilling opportunities and bringing in more locals and visitors to experience their exhilarating adventures. ZipQuest allows participants to zip through the treetops of the beautiful North Carolina forest and over the region’s only waterfall – Carver’s Falls. ZipQuest, the world-class zipline tour and nature adventure, has been experiencing high-flying success. This year, Trip Advisor awarded them with a 2015 Certificate Excellence due to their consistent high ratings from TripAdvisor travelers. Those wishing to learn more about Zipquest’s thrilling adventures can visit www.zipquest.com. 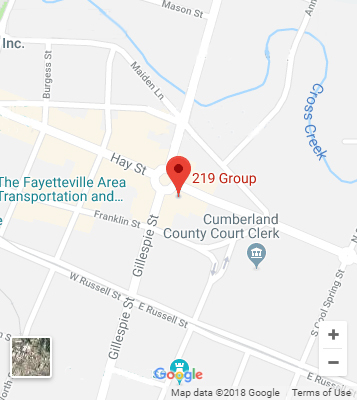 About 219 Group: 219 Group is a veteran-owned marketing and advertising agency offering a full suite of marketing services to help clients of all sizes, budgets, and types achieve their desired results. Services include brand development, digital services, graphic design, social media marketing, analytics, lead generation, media services, and public relations. For more information about 219 Group please visit www.219group.com.